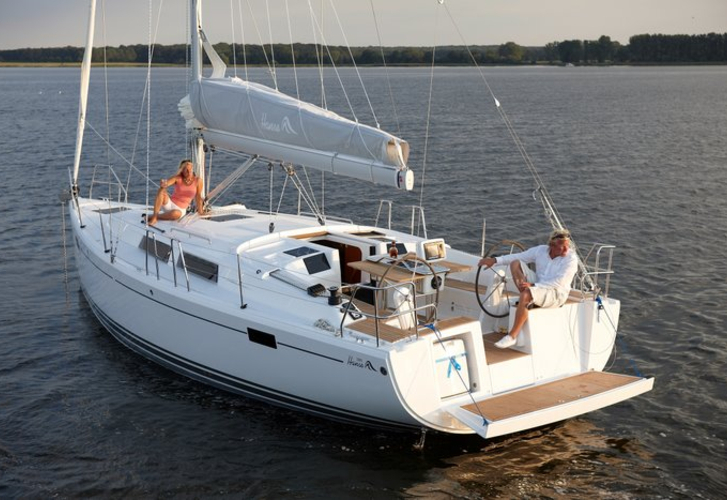 401 is a name of sailing boat Hanse 385 ,which has been manufactured in 2016. 401 is equipped with 8 sleeping places. Sleeping places on the boat are configured in 8 scheme. 4 bedrooms are located inside the yacht 401. Guests can feel comfortable on this vessel , because there are 3 heads for their disposal. 401 is equipped with engine 27. Vessel's dimensions are: lenght - 10.90 meters , beam - 3.88 meters and 1.99 m of depth. On the sailboat is placed following equipment: Radio / cd player, Heating, Autopilot, Gps plotter, Gps, Anchor electric windlass. . Caution is 1500.00 EUR.